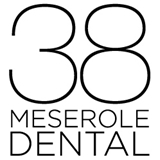 38 Meserole Dental (Brooklyn) - Book Appointment Online! Very attentive and detailed and helpful explanations of what's going on with my teeth. Would definitely recommend to anyone looking for a dentist in the area.